Sometimes you will find Gingerbread Men and Houses where you weren’t looking for them. 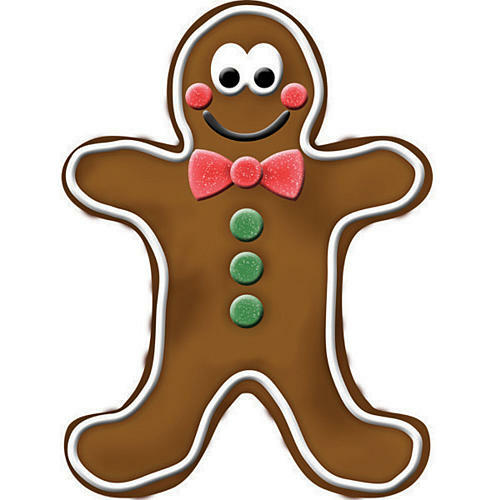 Normally, Gingerbread fun items are in with the Holiday area of stores that are general retailers or specialty stores. Who would have thought… ToysRUs? The fun finds we had are Gingerbread Men, Women and House Stand Ups. These are not little doll size, the Gingerbread People stand 44 inches tall and the House is 60 inches tall. These are available directly from ToysRUs’s Web site. I have included links to the pages I found, not sure how long they will be good or if these are regular year round offerings. 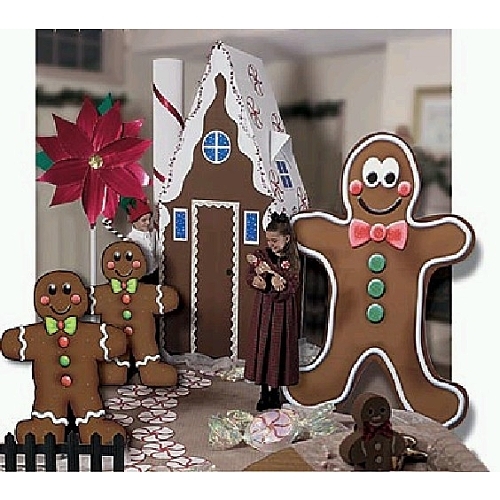 Gingerbread Man Standees – Set of 2: The set of 2 freestanding Gingerbread Man stand at 44 inches high x 33 inches wide and are made of cardboard. Gingerbread Man Standee (Not sure if this is the house or just a even ‘bigger’ Gingerbread Man): The Gingerbread Man stands at 60 inches tall and made cardboard. Assembly is required. 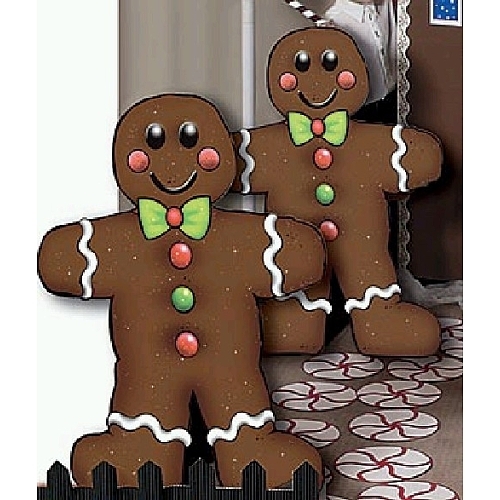 Gingerbread Wall Graphic: Decorate your walls with our Gingerbread Wall Graphic. Just peel and stick the removable decals to your wall to add some fun to your holiday party.